Miles Shipp sizes up a defender. Kyle Sexton moves with the basketball on Saturday. 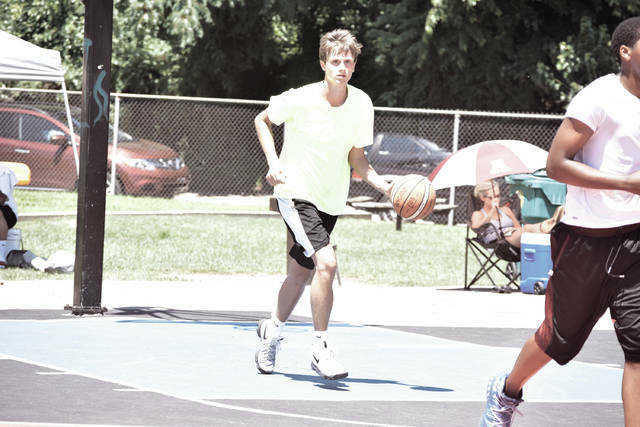 Sexton, who played for Scioto County Select, was named as the Most Valuable Player of the Bannon Park Classic. Tyler Caldwell moves up the court. 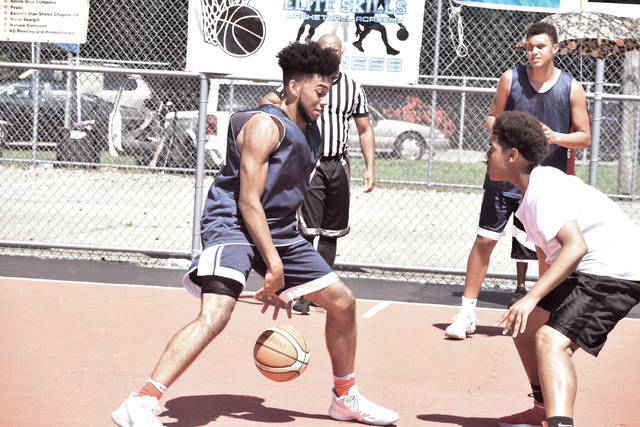 Over the years, the Bannon Park Classic has proven to bring together, and showcase, some of the best accumulation of talent across not only the Tri-State Area, but additional cities across Ohio, Kentucky, and West Virginia. From last Thursday through Sunday, much of that talent was on display again during the BPC, which took place on its normal location on 14th Street and Robinson Avenue from Thursday through Saturday and — due to inclement weather — the Old Portsmouth High School Gymnasium on Sunday evening in Portsmouth. 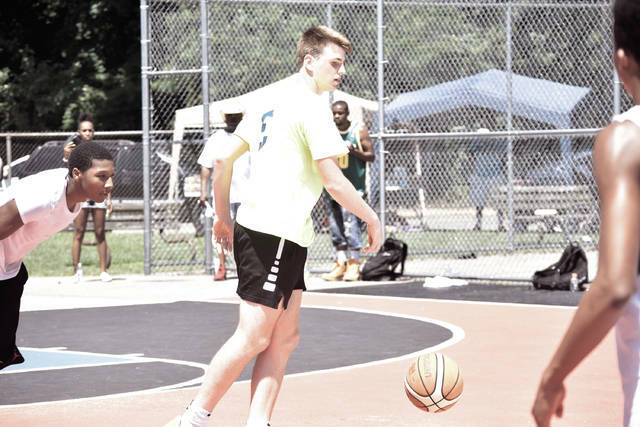 For Bannon Park Classic Commissioner Jerald Gordon, the tournament, from the talent present on the court to the overall atmosphere, was a rousing success. All in all, the tournament proved to be a pretty successful showing for Scioto County, as three units that were formulated in the county (Minford, Elementary Division; Scioto County Select, High School Division; and Self Made; Adult Division) all took home crowns. And in the case of the elementary and high school divisions, Minford and Scioto County Select were able to take home hardware while battling off extremely hot heat conditions that reached the mid-90s. The best moment of the tournament, however, arguably occurred during the Middle School Division Championship on Friday evening. With Ironton’s middle school divisional unit holding a comfortable 15-point lead over the Portsmouth Shockers in the game’s final moments, the Fighting Tigers inserted Bishop Straight, a young man with special needs, into the contest. Straight proceeded to drive the lane, and after barely missing his first pair of attempts, knocked down his third and final shot attempt to bring the championship game to its conclusion as Ironton hit the 40-point margin needed to bring the game to a close. And the best part? Straight was named as the Middle School Division Tournament Most Valuable Player, as nominated by his team. With the 2018 version in the books, Gordon is already looking into ideas to see how he can make the 2019 version an improvement over this past year’s edition of the Bannon Park Classic. One major improvement — the inclusion of a female division — is very high on Gordon’s wishlist. Next year’s Bannon Park Classic is expected to run from Thursday, July 4th through Sunday, July 7th, according to Gordon.